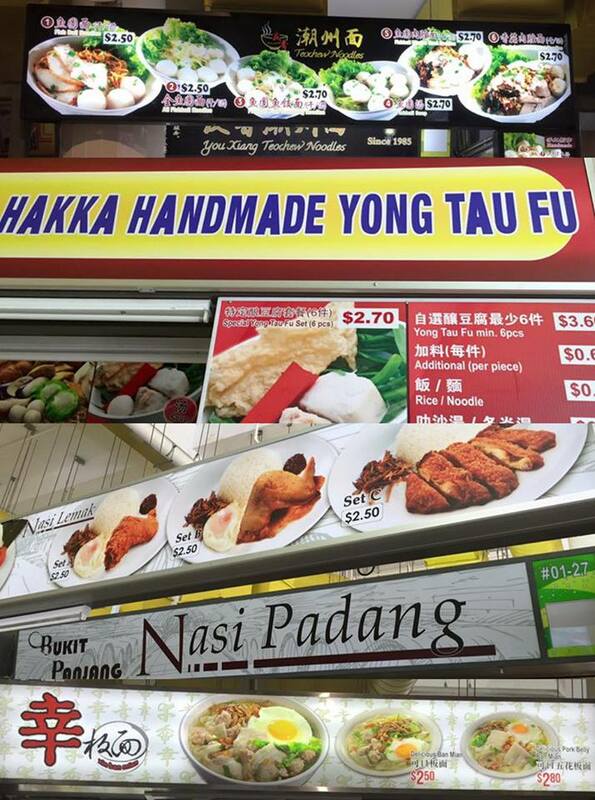 The Bukit Panjang Hawker Centre & Market is all set to officially open its doors tomorrow (29 December 2015). NTUC Foodfare which will be managing the new hawker centre had promised earlier this year that the new hawker centre will not only have longer operating hours, but also one of the lowest food prices in the neighbourhood, with price ceilings imposed on at least two basic meals that are sold there. Looking at the price list of food sold in some of the stalls there, it certainly looks like the new hawker centre intends to keep its promise. The ‘Special Yong Tau Fu’ set is priced at $2.70, the ‘Nasi Lemak’ sets are priced at $2.50 per set, the ‘Delicious Ban Mian’ set is priced at $2.50. 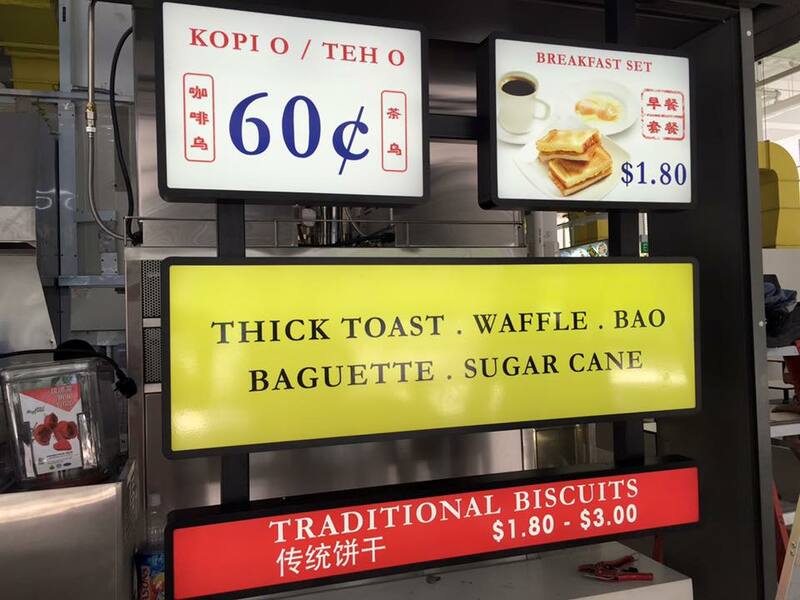 Best of all, the ‘Breakfast’ set (consisting of toast bread, two eggs plus coffee or tea) is priced at only $1.80. And the ‘kopi-o’ and ‘teh-o’ are priced at mere 60 cents per cup. The Bukit Panjang Hawker Centre and Market which will have 26 cooked-food stalls, six kiosks, 14 market stalls and 14 lock-up stalls, attracted some controversy earlier this year when a young hawker slammed the tender process for stalls at the Centre. He claimed that the NTUC Foodfare’s shortlisting method for allocation of stalls was unfair and lacked transparency. “…They are asking prospective hawkers to submit their food prices and quality of food that they want to serve. They are also expecting them to open longer hours. Yes, it sounds really good on paper. A food centre where hard working hawkers work long hours and serve quality food at cheap prices. In my opinion, it is hard to be able to hold all these three qualities in equilibrium. Something has got to give. You can expect a hawker to work long hours and serve quality food. You can’t expect the food to be cheap and at the same time use quality ingredients. We are going to end up with hawkers buying cheap, factory made products to sell because they cannot afford to spend the time to make their own. They will also need to hire workers to work the long hours and you know the kind of food you get when that happens. This is going to be just a cheaper version of the current NTUC food courts! 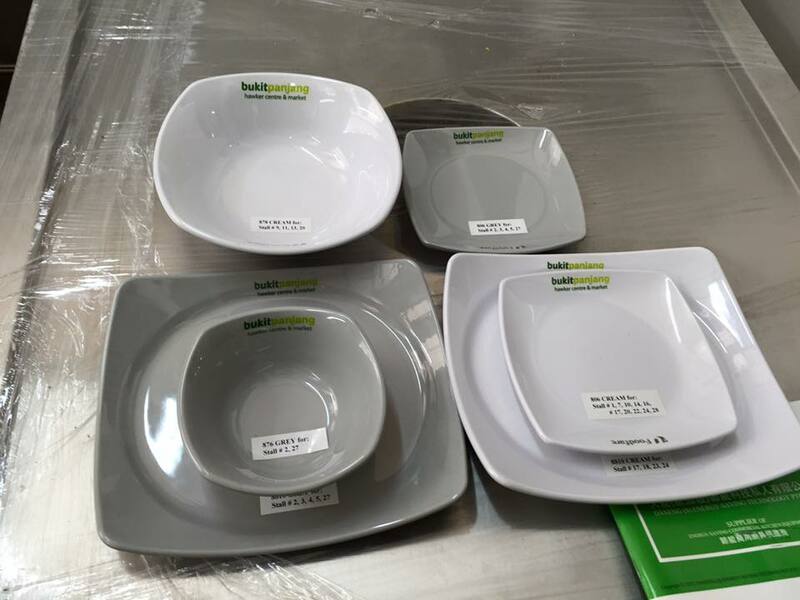 The Bukit Panjang Hawker Centre & Market will also feature Rice Garden, Foodfare’s community rice stall. Those that are on public assistance or the ComCare scheme can buy a basic economy-rice meal (one meat dish and two vegetable dishes) for S$1.50; while senior citizens, students, national servicemen, NTUC Union members and persons with disability will pay S$2 for it.